DCAGT is exploring having a Twice Exceptional (2E) Parent Group that meets periodically. This would be an opportunity for parents of 2E children to meet one another, share information, network and support each other. 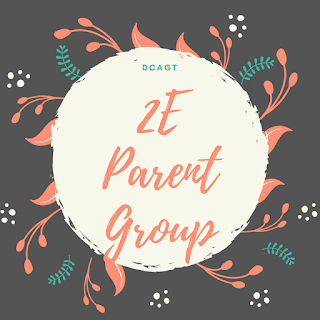 If you would be interested in meeting other parents of 2E children, please fill out the following interest list. You will be contacted with more information if we determine there is interest within our DCAGT community.